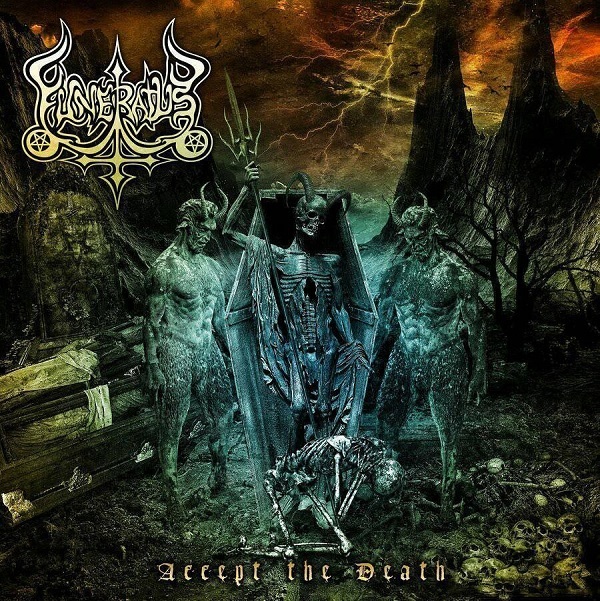 Following the band’s 2009 EP “Vision From Hell”, their new album “Accept The Death” presents FUNERATUS at its very best, having the most cohesive, mature and captivating compositions to date. It’s authentic and brutal style has made the band one of the most admired extreme music names to follow in the country. “Accept The Death” was recorded at Sete Studio and Joca Miquinioti Studio. The band managed the production themselves along with mixing and mastering handled by veteran German producer Andy Classen (Asphyx, Tankard, Krisiun, Belphegor, Destruction, Rotting Christ). The album artwork was created by Brazilian artist Alcides Burn (Krisiun, Nervochaos, Blood Red Throne, Rebaelliun, HeadHunter DC). FUNERATUS is a Brazilian death metal band formed in 1993, with the idea to make an original sound while keeping the traditions of true and brutal Metal. 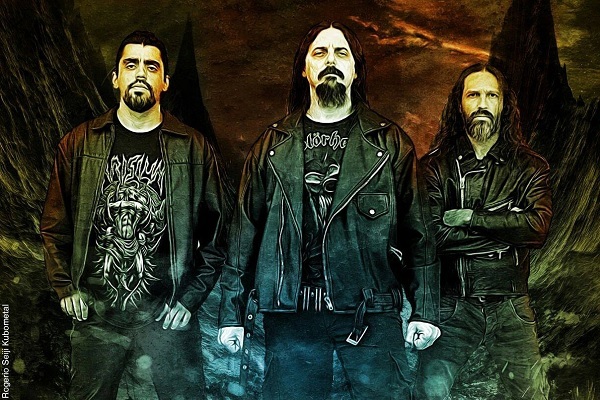 Their extensive tours have covered all of Brazil and South America, playing alongside renowned bands like Morbid Angel, Incantation, Krisiun, Iron Angel, among others.